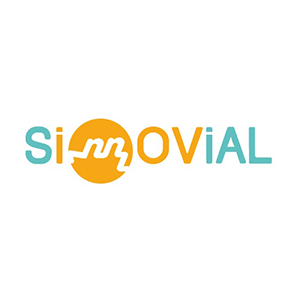 SINNOVIAL is a biotechnology company (UGA & CHU de Grenoble Alpes) which develops personalized-medicine tools to optimize the treatment of chronic inflammatory diseases (rheumatoid arthritis, spondylitis) and minimize health costs. Our mission is to improve patient quality of life and reduce disease progression by maximizing the chances of successful treatment through the use of the therapeutic orientation tools. The technology we have developed allow determining, before prescribing, the probability of response to the treatment (biotherapy) selected by the physician, through the scanning of biomarkers (proteomic profile) of the patient concerned. To democratize the use of this practical test, economic and predictive of the efficacy of treatment (test-companion) our company has decided to place our first product as soon as possible on the market.